Apple and Samsung are working with carriers on a new e-Sim that would make it easy to switch between networks, according to a new report published Thursday. The technology sounds similar to the Apple SIM included with the iPad Air 2, potentially bringing that same flexibility to smartphones. The e-SIM, which would be non-removable, could make it possible to jump from one carrier to another whenever you wanted, the Financial Times said. That means you can opt for the best deal at any moment or switch carriers depending on the quality of service in a specific location. 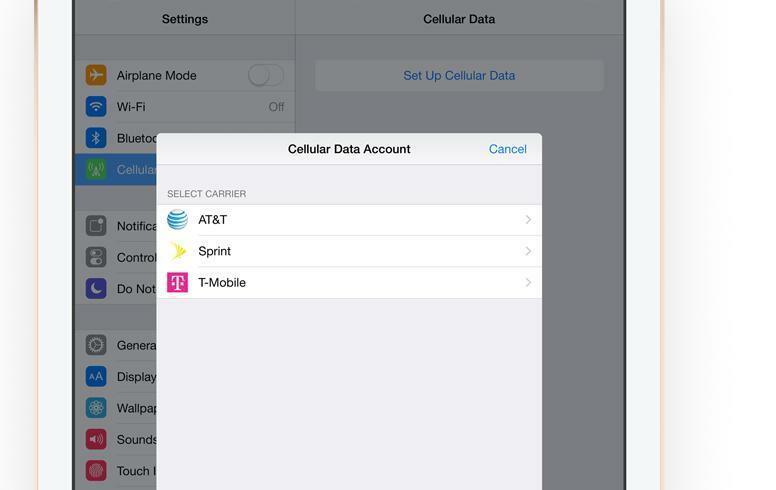 Of course, some carriers may put their own restriction on the e-SIM, similar to what happened with the Apple SIM and AT&T. AT&T and Deutsche Telekom (which owns T-Mobile) are already involved, according to FT. It's unclear if the other major U.S. carriers are interested, though Verizon never offered support for Apple SIM in the first place. A handful of other international carriers may also be onboard, including Vodafone, Orange, Telefónica, Etisalat and Hutchison Whampoa. The e-SIM is still a work in progress, though it could get an official launch next year. Hopefully that means it will be ready in time for the iPhone 7 or maybe even Samsung's Galaxy S7 in early 2016.